Teddys-Handarbeiten - Glas Rondelle fac. T-RO21 6x8mm rot 20St. 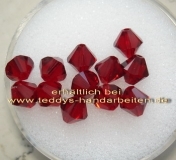 Startseite » Perlen & Co » Rondelle » Glas Rondelle fac. T-RO21 6x8mm rot 20St. Glas Rondelle fac. T-RO21 6x8mm rot 20St. Glas Rondelle fac. T-RO9 4x6mm cry 25St.